Home > Property Management > What Percentage Of Americans Own Stocks Or Real Estate? Now that the economy is on fire, all Americans should be rejoicing in their wealth, right? Wrong! 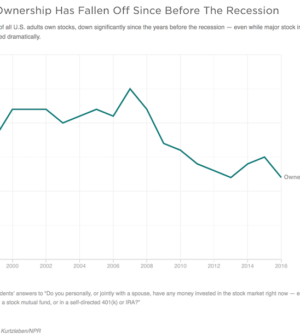 Only 52% of Americans own any stocks according to a recent Gallup poll and only about 63% of Americans own real estate according to the Census Bureau, down from a high of about 69% in 2004. Given these figures, the bull market has left a lot of people behind.